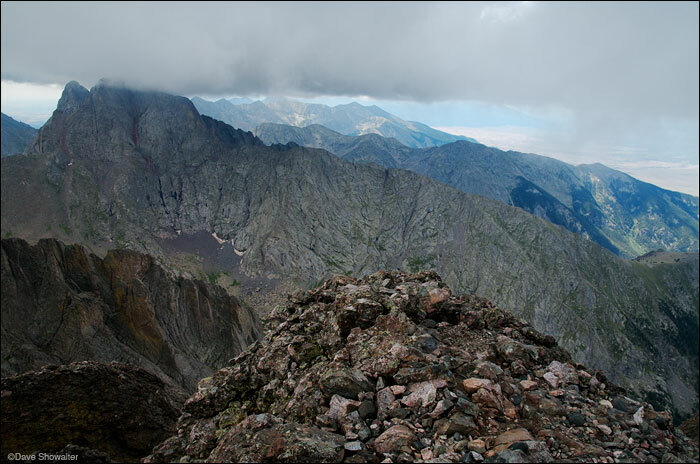 Low clouds envelop the summits of Crestone Peak (14,294') and Crestone Needle (14,191') in this view from Kit Carson Mountain's (14,163') airy summit. Along with several other climbers, we decided to spend little time on top in case a thunderstorm would develop. Photo © copyright by Dave Showalter.